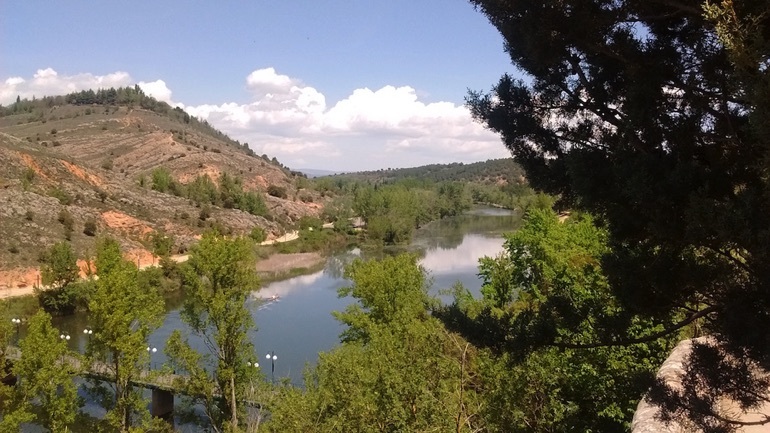 When I first announced that a friend and I were planning a four-day excursion to Soria, the slightly bemused reaction of my friends in Madrid was not entirely unexpected. The north-easterly province of woodlands, mountains and rolling plains is nearly the size of Yorkshire, yet it is home to just 90,000 people. The least populated of all Spain's 50 provinces, it also attracts fewer visitors than almost anywhere in the country. 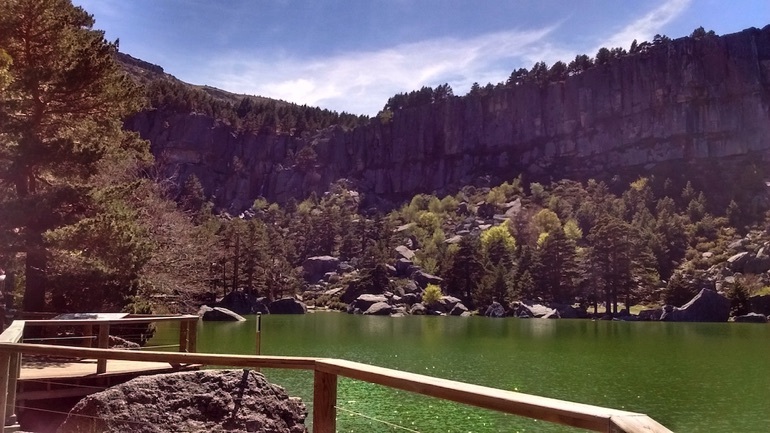 Today, Soria is very much the land that time forgot, yet it was once considered almost the very soul of Spain. It is where the ancient Iberians made their last stand against the Roman invaders in Cervantes's immortalised Siege of Numantia and where the great Castilian epic poem to El Cid was penned. But for me, most importantly, this humble province is also the place most associated with one of Spain's greatest 20th century poets. on a moor stretching to the infinite! where scraggly sheep graze in flocks! In these opening lines from his first Sorian poem, Machado's delight is clear, but it was a very different world from the one he had known. Born in Seville and having spent his youth in Madrid, he had already published his first collection of poetry and on two visits to Paris had got to know such fin-de-siècle luminaries as Paul Verlaine and Oscar Wilde. Now, Machado found himself in a rough-hewn rural town of barely 7,000 people buried deep in an impoverished and despondent country that had just lost its last colony in the 1898 Spanish-America war. So as we visited the old classroom where Machado struggled to impart French modernism to his rural students, I couldn't help recalling his acerbic lines in another early poem. shrouded in her rags despises everything she ignores. Such pessimism was not uncommon among Spanish intellectuals of the 'Generation of 98' and for the out-of-towner, Machado's best bet for such discussions was the town's Casino Circulo Amistad Numancia. The bar and lounge can still be visited today and it was perhaps here that Machado first came up with his prescient concept of 'the two Spains': a reference to the left-right political divisions that were eventually to lead to the Spanish Civil War and indeed his own death. and another Spain that yawns. the world, may God keep you. 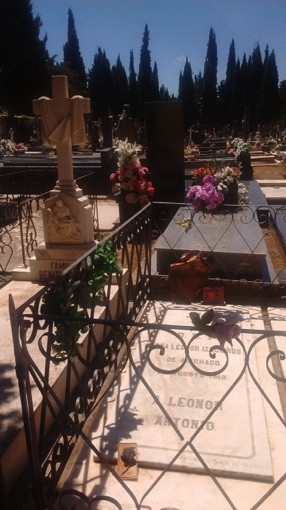 Antonio Machado spent just five years in Soria but his time there inspired what is perhaps still Spain's most widely read collection of verse. Written with a clarity and directness that few could match, the themes of 'Campos de Castilla' (Fields of Castile) range from the passage of time, death and the hope of resurrection to the beauty of the Sorian landscape, the harsh life of its inhabitants and the very question of Spanish identity. It was 1907 when the 32-year-old poet first travelled to Soria. He was there to take up the post of French teacher at a school in the province's capital of the same name, and like my friend and I, he arrived in the month of May. With equal fervour, Machado set out to explore the harsh reality of Castilian life in Soria's increasingly depopulated and decaying rural communities. and chopped down the sturdy oak trees on the hills. down the sacred rivers to the oceans grand. 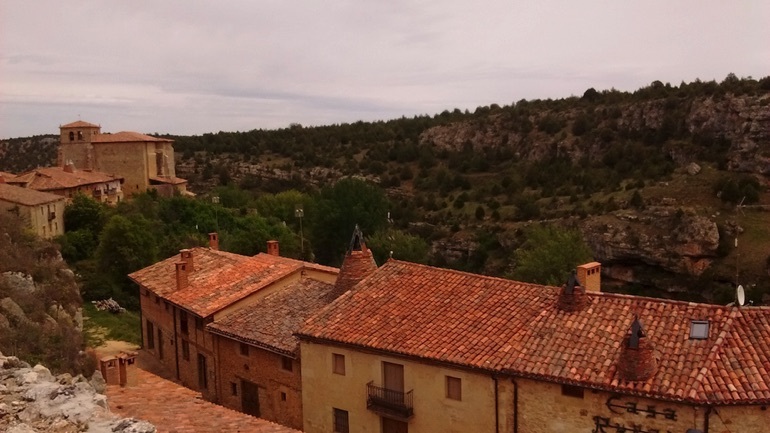 Communities like the small village of Calatañazor, which my friend and I visited to the west of Soria, now benefit from some limited tourism but they still bear the legacy of Soria's rural exodus. 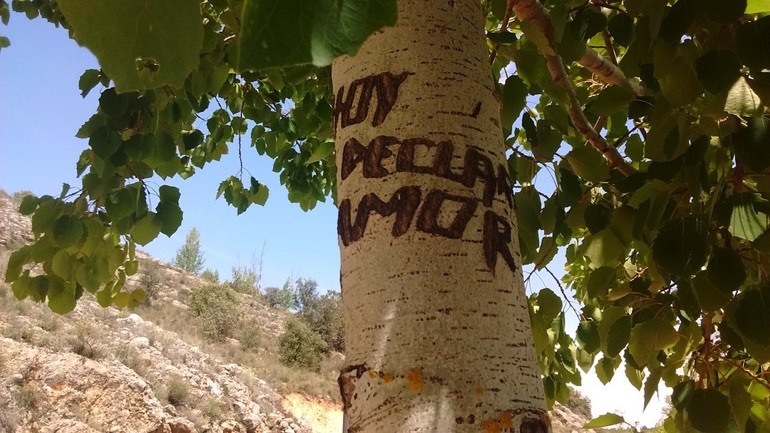 Yet despite these harsh realities, Machado's time with Leonor were the happiest years of his life; and one of their favourite walks was along the River Duero, which curves around the small provincial city. facing Aragón, in Castilian land. with the murmur of the water. To this day, the tradition of romantic engravings continues. And in Machado's case, such was his obsession with the Duero that in October 1910 he set out in search of its source high up in Soria's Urbión Sierra. On the way he met a peasant who told him the story of two brothers that murdered their own father for his inheritance. Machado's resulting ballad “The Land of Alvargonzález' is perhaps the greatest of his Campos de Castilla poems and certainly one of the most chilling. 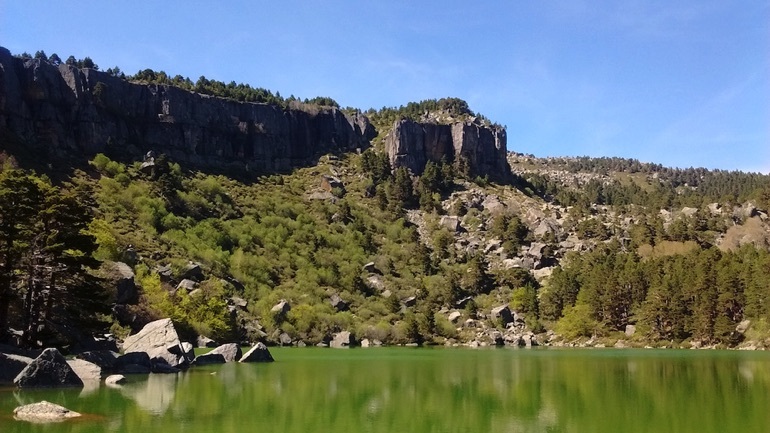 The Laguna Negra is an hour's drive north of Soria along winding provincial roads, but it's well worth the effort. Climbing past huge boulders under the shade of Scots pines and downy oaks, once you arrive, it's easy to see why Machado set his dark morality tale in this place 'where vulture's nest'. 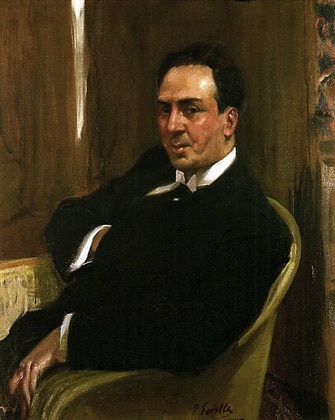 Shortly after his return from the Urbión Sierra, Machado received a fellowship to study in Paris and, in January 1911, he and Leonor set out for the French capital. 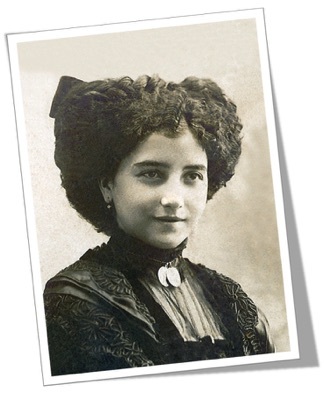 But just six months into Machado's fellowship, Leonor fell ill with tuberculosis and the couple were forced to return to Soria. In the desperate hope that the clean air of the sierra would help Leonor's recovery, Machado rented a farmhouse high up in the hills overlooking the town. As spring approached, her health seemed to improve, filling the poet with a fragile hope and inspiring some of his most poignant verse. a few green leaves have sprouted. Broken hearted and near suicidal, Machado left Soria just a few days later. In his remaining years he continued to write and travel but the lands of Castile and the woman he loved never left his thoughts, as he admitted in a poem written many years later. long to be back on the high and barren plains. No one chooses his love. Antonio Machado never remarried and in the end he could not escape the destiny that he himself had partially foretold. In 1939, fleeing Franco's advancing forces in the last months of Spain's Civil War, he was finally forced into exile in France, where he died just three days later, on 22 February. 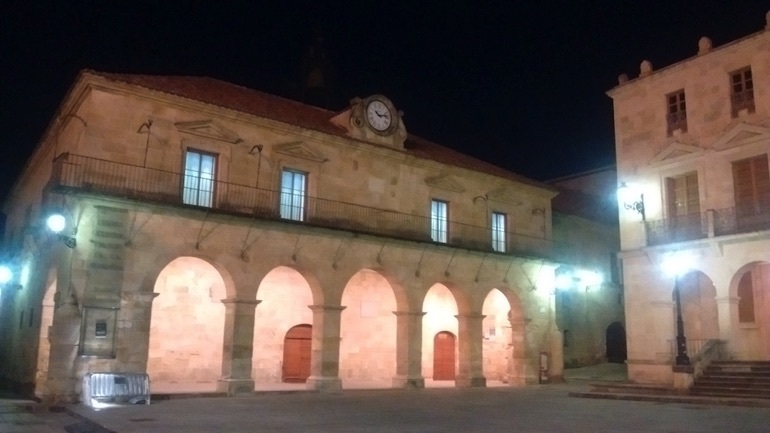 On winter nights after the café-debates, Machado would stroll along Soria's main street El Collado to the town square with its magnificent courthouse, which remains today. of the courthouse clock striking one. so beautiful under the moon. By now Machado had moved into a guesthouse on the same El Collado street and it was here that he would meet the love of his life. In Santo Domingo, the High Mass. Praying with you, how much devotion!